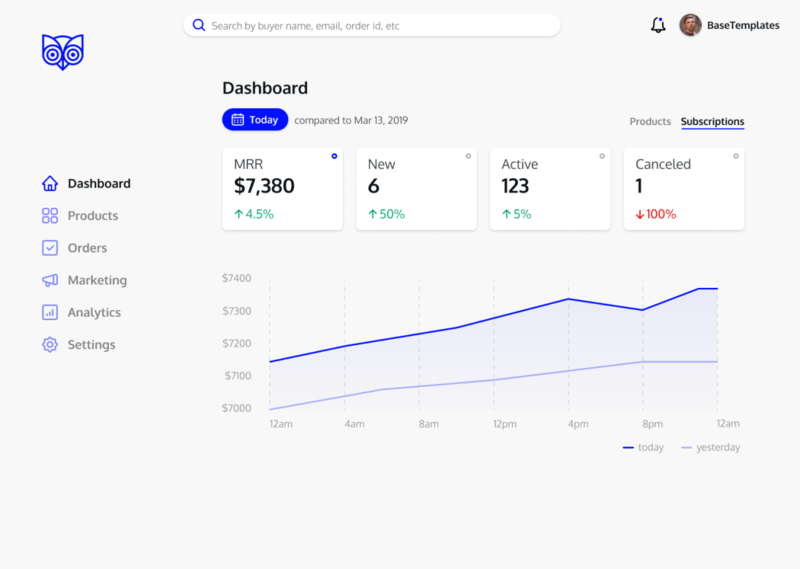 A redesign of the main dashboard to help the company improve user experience and win new customers. SendOwl is an eCommerce software that helps people sell digital files, subscriptions, memberships and much more. Both the simplicity and attractive pricing of the product helped the company become a leader in this market. I have personally used SendOwl to sell presentation templates since 2015 and I love it. However, I have noticed a few pain points that lower the quality of my user experience with the product. Those are limited features (such as an inability to see analytics data in comparison to a previous period), obsolete interface design, and lack of a decent mobile version. This case study walks you through the process of fixing those limitations by redesigning one of the most important pages for shop owners – the Dashboard. 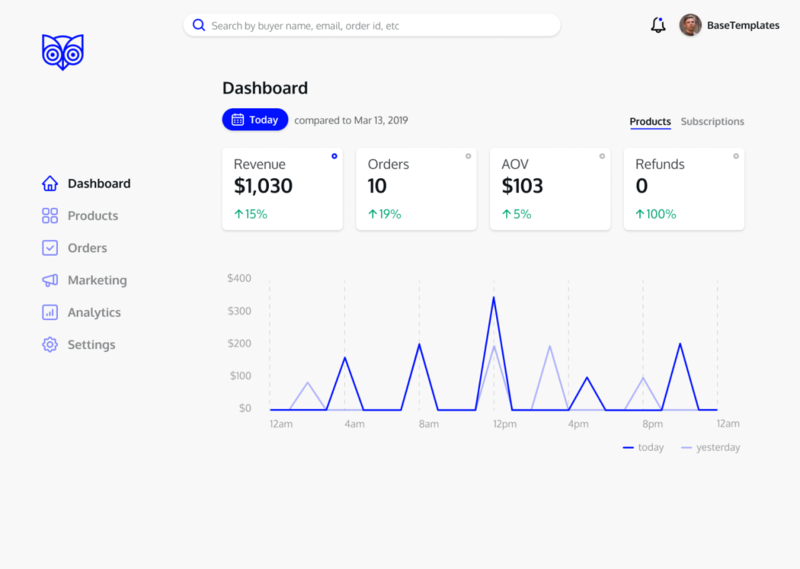 • SquareSpace Commerce Dashboard has the most favorable design layout among competitors. It's presented elegantly; not overloaded with features, yet it still gives all the information the shop owner needs to know. • The Search Bar should somehow inform the user on what it is capable of: finding customer emails, names, discounts, etc. This will make it more like a smart assistant for the shop owner. 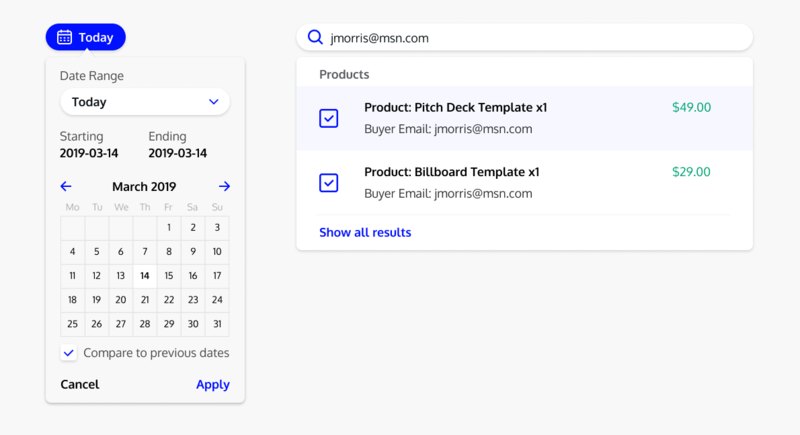 While working on wireframes I had a major insight regarding the Dashboard redesign—to make separate tabs for Products and Subscriptions. 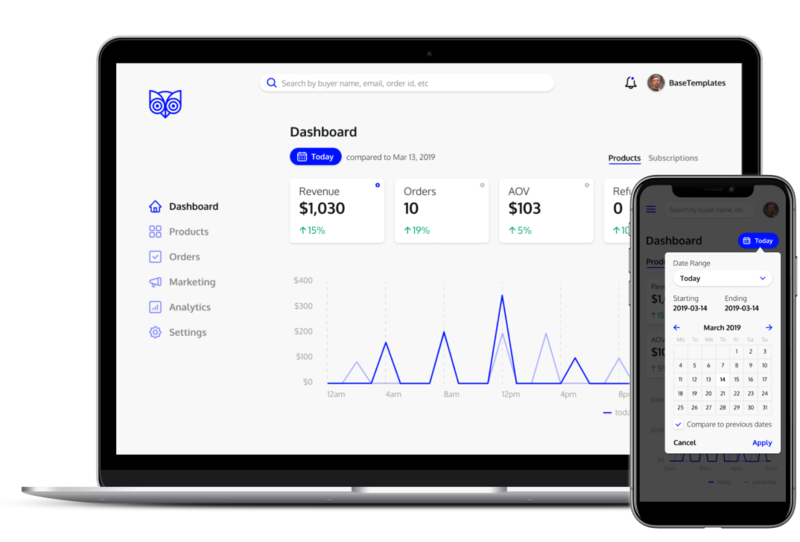 SendOwl allows customers to create both products (one-time purchases) and subscriptions (recurring basis purchases). Then it combines the data for both pricing models on one common chart. This negatively impacts chart readability by diluting the information. 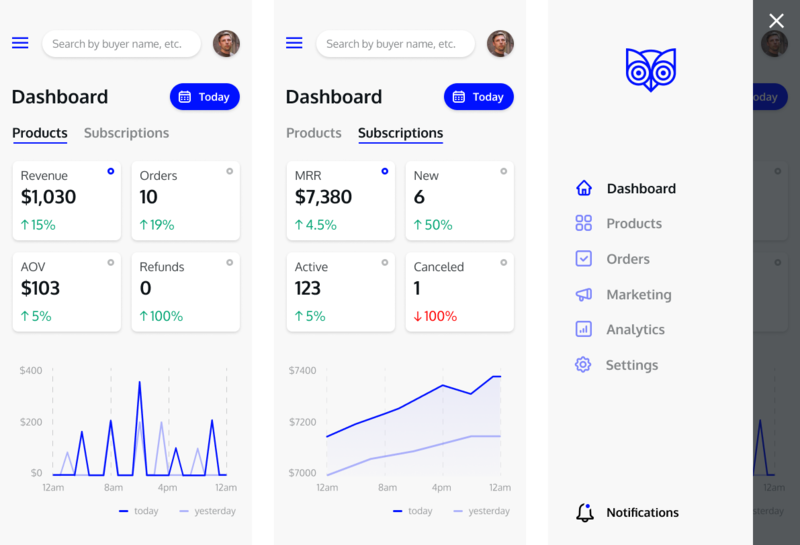 Assuming that most people use SendOwl to sell either products or subscriptions; it would be much wiser to have separate charts for each pricing model. Updating SendOwl branding with a modern visual theme was a vital part of the project. The process began with simplifying the logo and also included picking a new color scheme and font family. 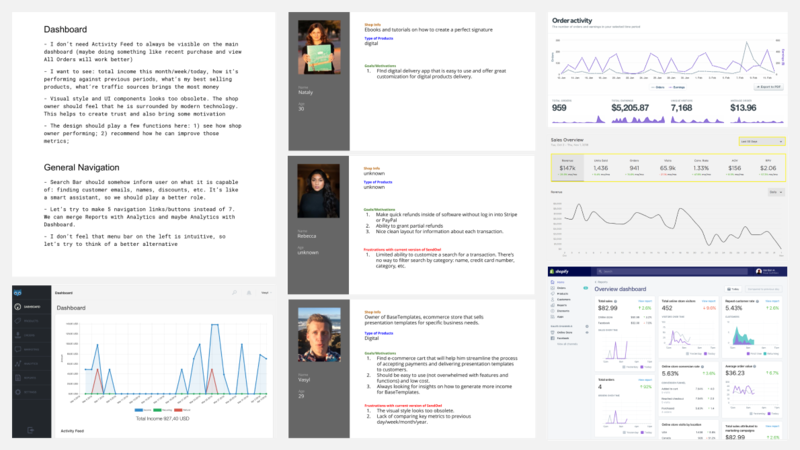 The new Dashboard represents a snapshot of key indicators and their performance compared to the previous period of time. Based on my research those indicators are Revenue, Orders, AOV, and Refunds for Products; MRR, New, Active and Canceled for Subscriptions. Delivering a proper mobile version for new the Dashboard design was one of the project goals. All of the key indicators and features were preserved and placed within a single mobile screen while keeping page layout readable and intuitive. Redesigning a software interface with an existing customer base should always begin with getting access to full analytics. Spending enough time to extract all possible insights from that data is very important. Unfortunately, since the SendOwl team didn't know that I was working on this redesign concept, my UX research was limited only to data I could publicly access.